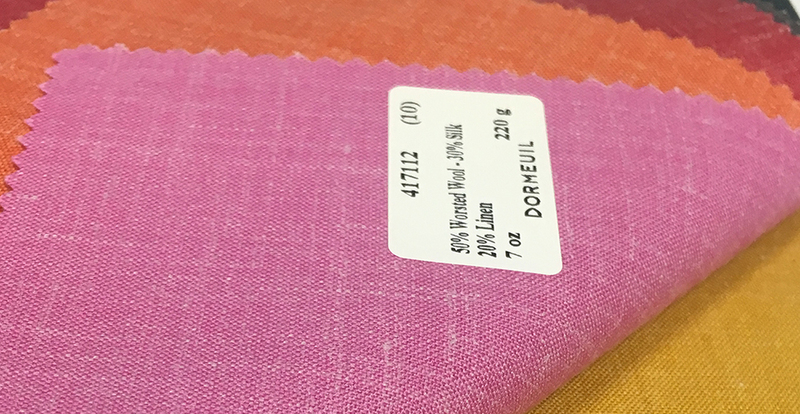 For Spring/Summer Dormeuil features vibrant colors in a perfect blend of wool, silk, & linen for custom suits, jackets, and pants. The combination of wool, silk, & linen is uniquely balanced for performance, breathability, and texture. We are proud to offer only the best ingredients to pair with our craftsmanship to create exquisite custom suits, jackets, and pants.